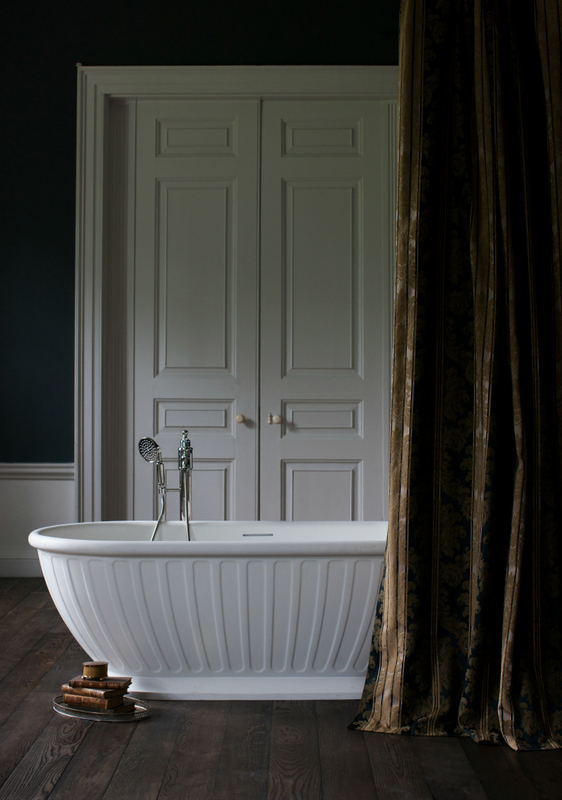 I would normally go for an all white bathroom to be on the safe side, but after seeing these moody and quite dark bathrooms, I’m smitten! I love them! There’s a certain feel here that I would like to achieve in our future bathroom and think these ideas are brilliant. 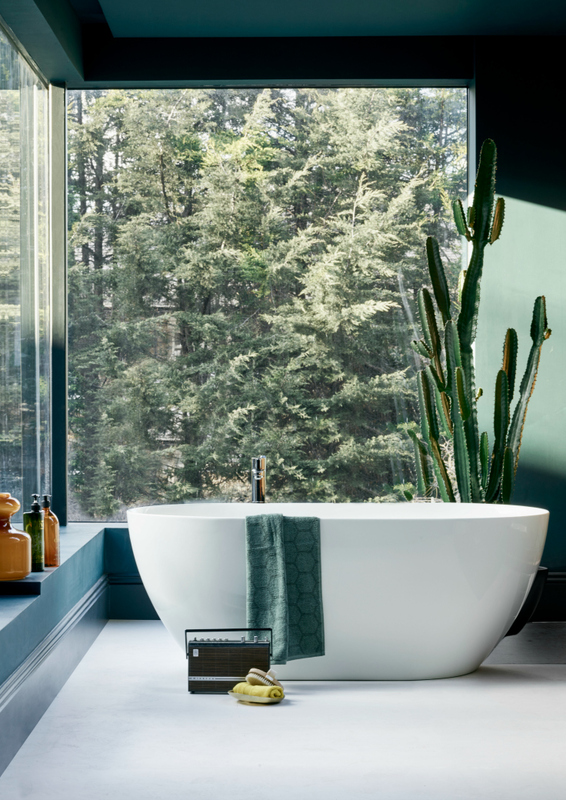 What I really would love in my new home though is a freestanding bath, so today I’ll be sharing the top 5 freestanding baths on my wishlist. The baths I have chosen are not all the same style. 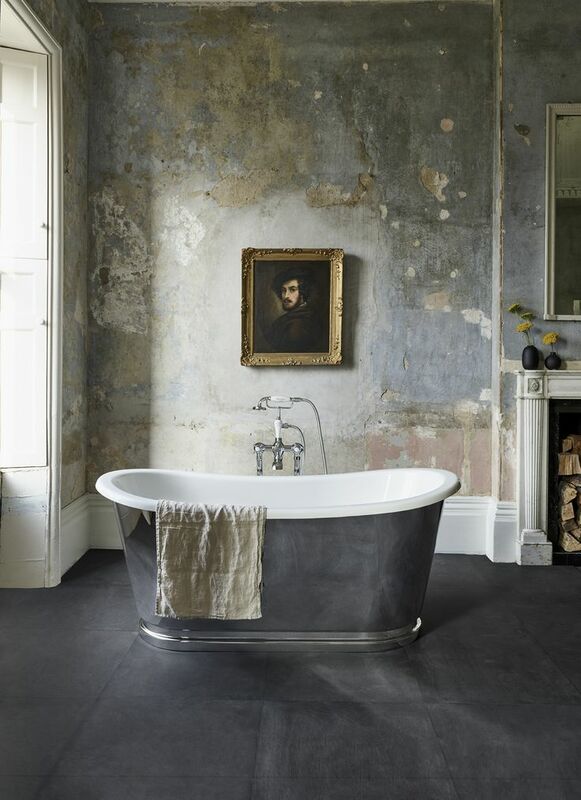 Some baths are more vintage like than others and some of the baths are contemporary and minimal. What would be your dream bathroom? – A traditional one or a bathroom with clean lines and large windows? A big part of my blog is spotting ideas in photos and I have seen something I really like here. Can you guess what it is? It’s the long curtain in the first photo. I think it makes the bathroom feel more like a room than a bathroom and it has a nice relaxed feel to it. It adds both luxury and coziness. You can imagine the room with lots of bubbles and scented candles. It would be perfect escape from cold Autumn evenings. 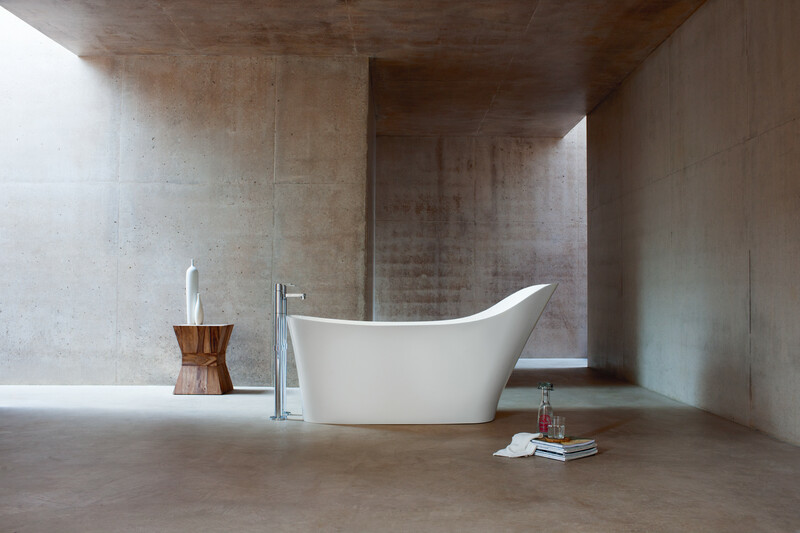 Which one of my top 5 freestanding baths do you prefer? I would love to hear which one is your favourite! If you would like more bathroom inspiration I have been curating some bathroom boards for Arcade Bathrooms, Britton Bathrooms, Burlington Bathrooms and Clearwater Baths. Click on the company names to see the Pinterest boards and some amazing things that are likely to go on your wishlist. Bathroom goals! I know for a fact that there’s a sale starting in just a few days, so if you’re thinking about doing up your bathroom, now would be a good time!